She used the pejorative acronym Daesh for IS, rather than "dawla", Arabic for state, which many in the camp still use. She said her husbands were dead, not martyred, as slain militants are usually described by supporters. "My first husband was killed fighting three years ago, thank God." "I want to go to my family in Idlib. But right now I'd settle for just another part of the camp, away from the foreigners. Somewhere I can use a phone," she said. The security forces that guard al-Hol have denied her requests to move, she said. "They keep saying tomorrow and asking, why did you marry an IS fighter." 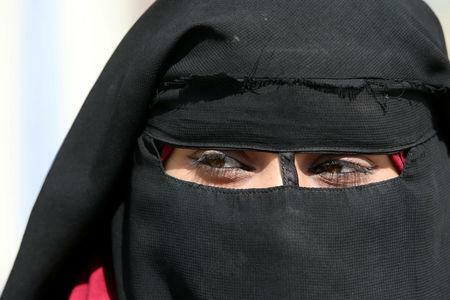 "Because I fled and how I dress, the other women call me an infidel. They throw stones at me. When I queue for water, they say this isn't a line for Syrians." The 20-year-old surrendered herself and her two children in 2017 to the SDF after her husband was killed in Raqqa. Months later she was returned to IS territory in a prisoner swap, she said. "It was back to zero," she said. 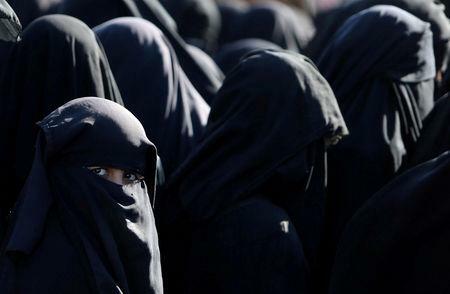 Her husband took her as a teenager to Syria to live in Islamic State's self-declared caliphate. Susi is also waiting to be transferred to another section of the camp. "Those of us forced to come should get to leave. IS supporters call us swine and infidels, say we're spies for the Kurds, and assault us." Most Syrians and Iraqis roam al-Hol camp separately from foreign women who are guarded by the SDF. Many foreigners use derogatory jihadist terms against non-extremists and blame their plight solely on Islamic State's enemies. "We're not rid of Daesh. They've basically moved the Islamic State here, that's what they believe. They say we'll build it again right here. The camp is under their control," Susi said.